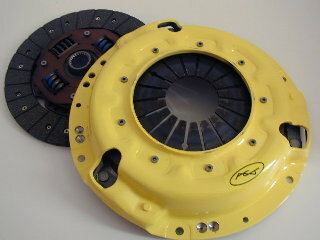 heavy duty ACT clutch set. This set includes heavy duty ACT clutch pressure plate, clutch disc,release bearing, pilot bearing and alignment tool. 2.0L engines. These are the highest quality flywheels at an affordable price! You will have a dramatic increase in accelleration in your Subaru WRX with the addition of one of these IndigoSpeed aluminum 11# flywheels. This rear sway bar for the street or an all out race car . This sway bar set will help give your Subaru WRX the best handling available. With the addition of this rear sway bar your Subaru WRX will handle like a slot car! All needed hardware and instructions included. For the street or an all out race car ,we have these fully adjustable coilover sets custom built for us. They will give your Subaru WRX the best handling available. Fully adjustable for any combination. 2.5 inch springs. Various spring rates. For the street or an all out race car , this HP spring set will give your Subaru WRX the best handling available.Lowers your Subaru WRX aprox. 1.35 inch. This front brace is our most popular front strut tower brace. 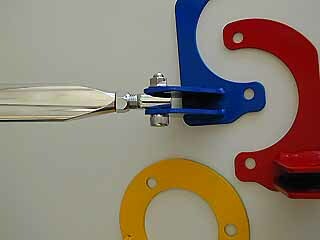 Aluminum "D" shape bar with double adjustable heim joints makes installation a snap. It will add considerable strength to your Subaru WRX 's front end. These brake pads are built for us for use at the street or track .These pads require no heating for your Subaru WRX 's to work properly. 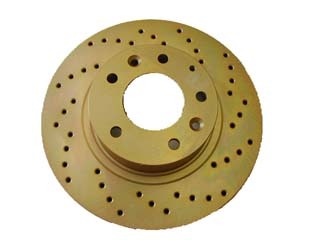 We offer these upgrade front and rear brake rotors in slotted and drilled versions for your Subaru WRX . Front and rear in stock. 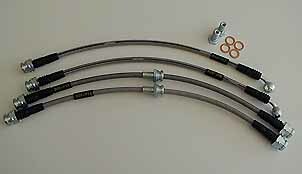 We offer these upgrade complete front and rear brake lines made of DOT approved steel braided lines. The addition of these will give a much firmer brake pedal feel to your WRX. All needed hardware included. SC radiators are produced from fully TIG welded aluminum. They offer 40-60% increase in cooling ability. They are designed for a perfect factory fit with little or no modifications needed for installation. The tanks are TIG welded to the header core. This process insures a very long radiator life. Made of the highest quality air filter for a long life and cleanable cotton and stainless filter. Complete with all clamps polished aluminum tubing and hoses. Because of their 15% reduced diameter and lightweight, energy normally used to turn the heavy stock pulley is now used to turn your drive wheels! In addition, the lightweight aluminum Indigo GT Pulley is a perfect choice for road racing ,drag racing and autocross due the reduction of water pump cavitation. Horsepower gains of up to 10-12 HP with our lightweight aluminum pulleys. Our kits come complete with new belts. Fits 2.0L motors. Because of their 15% reduced diameter and lightweight, energy normally used to turn the heavy stock pulley is now used to turn your drive wheels! In addition, the lightweight aluminum Indigo GT Pulleys are a perfect choice for road racing ,drag racing and autocross due the reduction of water pump cavitation. Horsepower gains can vary widely with our lightweight aluminum pulleys depending on what has been done to the vehicle. Our kits come Complete with new belts. © Copyright 2000 SRx7.com. All rights reserved.